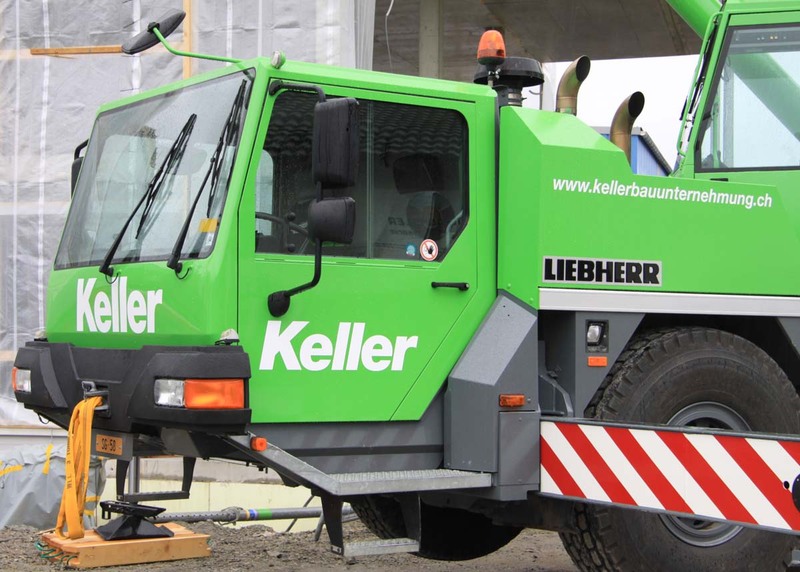 Keller Bauunternehmung AG from Rheineck (CH) is owning some tower- and mobile cranes. 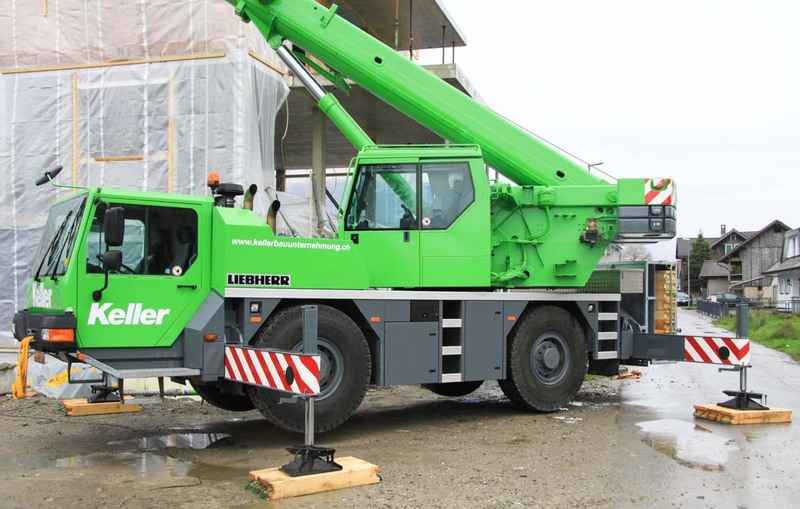 This Liebherr LTM 1030-2.1 is the smallest one of three mobile cranes and stood on a construction site in St. Magrethen (CH). 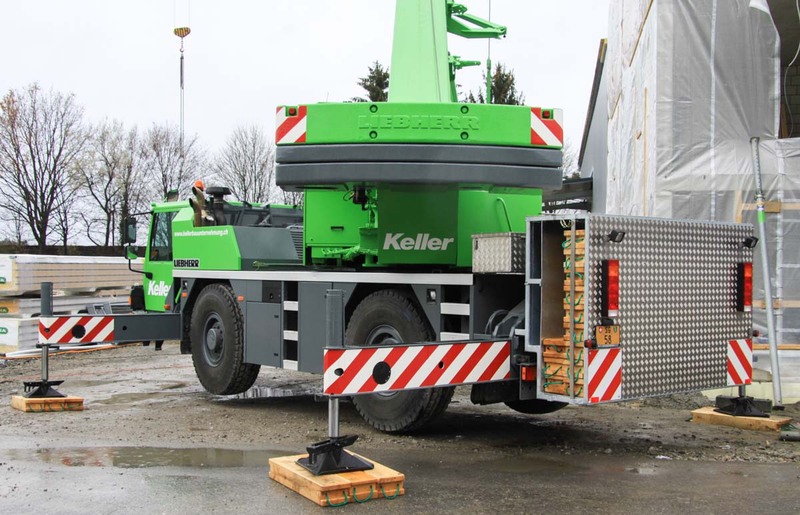 It is a 35 tonne crane on a 2 axle undercarriage. 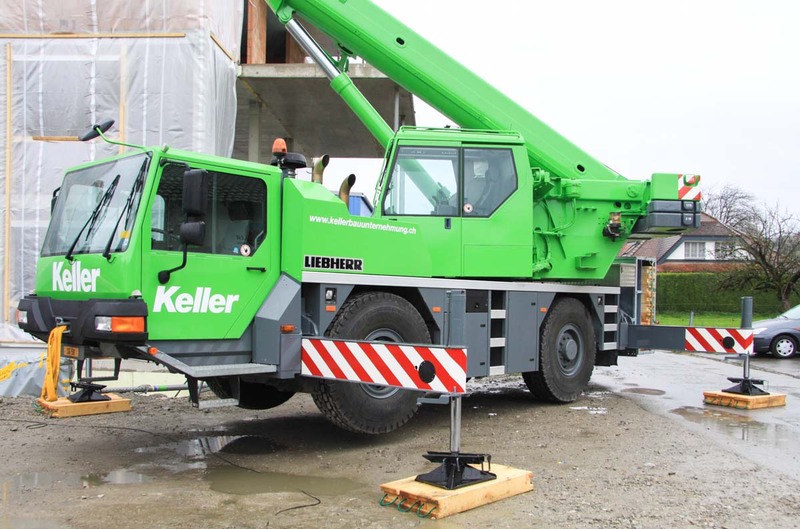 During the transport over the road has the crane a 10.31 meter length, a 2.55 meter breadth and a 3.6 meter height. The transport mass is around 24 tonnes. 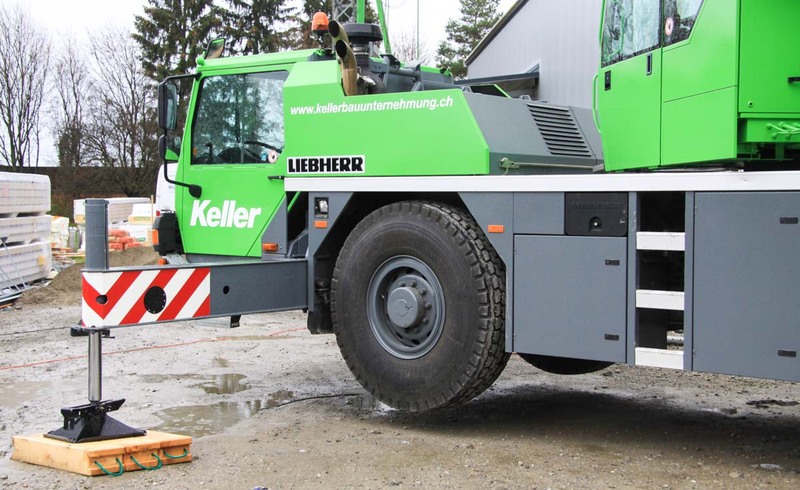 The undercarriage is powered by a Liebherr 6 cylinder diesel engine with 286 hp. 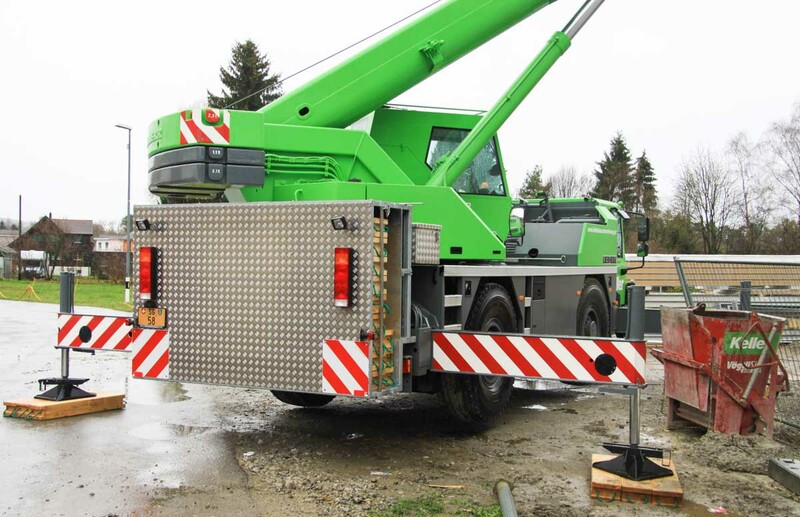 The engine drives both axles during transport over the road and is used to power the hydraulic pumps for the crane functions. The outrigger base measures 6.3 x 6.03 meters. 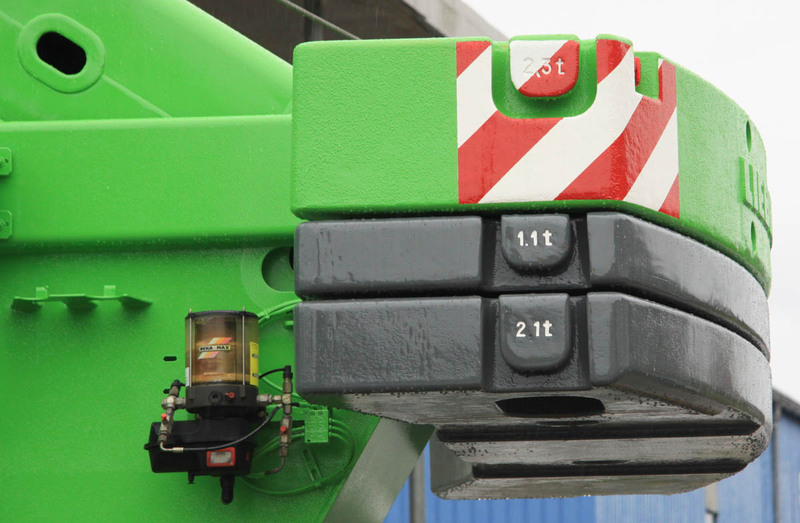 The counterweight weights 5.5 tonnes and has a 3.15 meter tailswing. During the transport over the road and both grey slabs transported on the undercarriage. At the rear of the crane is hanging is huge box with wood used below the outriggers. 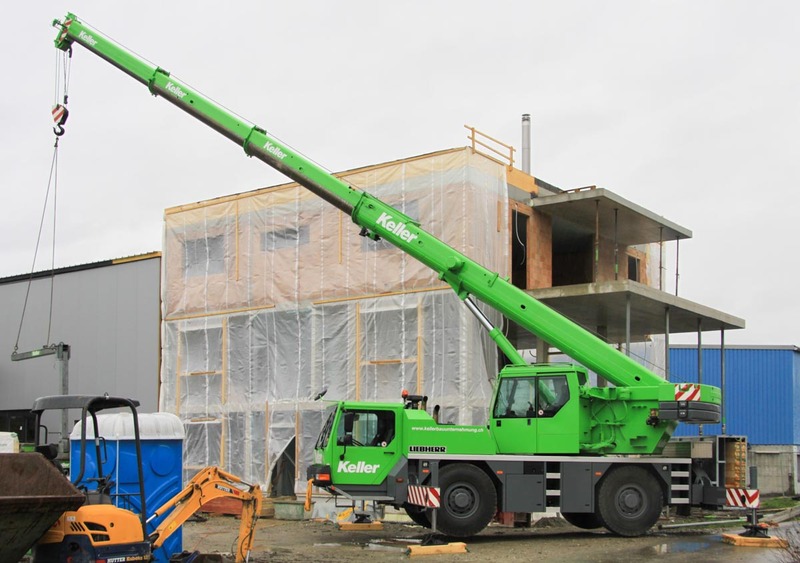 The main boom has a 9.2 meter base length and has 3 telescopic parts that can be extended to a 30 meter length. With a 15 meter long folding jib is it possible to reach a 44 meter hook height. 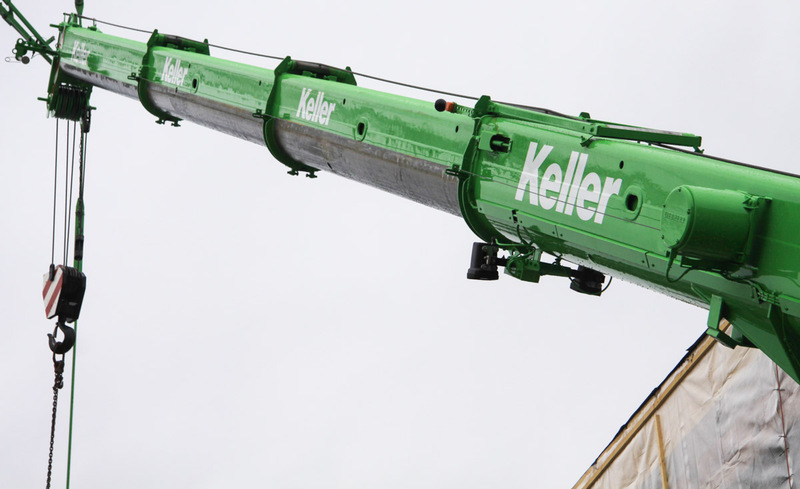 A fresh crane in the Keller colors.